The 2019 West Cork History Festival will take place from 8-11 August 2019. West Cork Arts Centre was established in 1985 in Skibbereen, Co. Cork. It is a publicly funded arts facility that creates opportunities for the people of West Cork to have access to, and engagement with, local and global arts practice of excellence. It supports a multi-disciplinary arts programme with a focus on contemporary visual art . It is a resource and development agency, providing expertise and physical and human resources to assist artists, other arts organisations, groups and individuals to realise arts projects. It is committed to exploring new and innovative ways of combating the challenges facing audience development and participation, and the development of opportunities for artists, especially in relation to those located in rural communities. Currently WCAC provides a range of education and community programmes for adults and children at the Centre in Skibbereen and throughout the West Cork region. The unique and enriching opportunity to experience and work with real artworks and live artists is explored through many of its programmes. Our Artists’ Residency programme (Artists’ Studios and Dance Studio) offers Artist in Residence studio opportunities to artists locally, nationally and internationally. West Cork Arts Centre places education at the heart of its activities with a wide range of arts workshops, community-based projects, film screenings, seminars, talks and gallery tours on offer throughout the year. 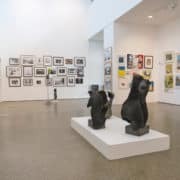 West Cork Arts Centre covers the Skibbereen and Bantry urban and rural area which stretches from the Beara Peninsula in the west, to Clonakilty in the east, from Dunmanway in the north, to the islands of Cape Clear and Sherkin in the south. A considerable number of artists and crafts people from Ireland and abroad are living and working in the area. Skibbereen (population c. 2,000) is a vibrant market town serving a large hinterland. The town as we now know it owes its origins to a raid of Algerian Pirates on nearby Baltimore in 1631, when 100 people were taken as ‘white slaves’. A small number of survivors moved up the river Ilen to establish the town where it is today. However, there was a much earlier settlement just east of the town, based around the castle of the overlords, the MacCarthys. This wealthy Gaelic family forfeited its estates during the turbulent 17th century. English Planters William Prigg and Samuel Hall were given Market Rights by a 1675 Patent. There was also a Cistercian Abbey on the banks of the Ilen from the 13th century. The name Skibbereen is thought to have derived from ‘skiff’, a type of boat used for crossing the river. Prigg and Hall renamed it New Stapleton; however, it soon reverted to ‘Dear Old Skibbereen’. Skibbereen is also said to be the ‘Cradle of Fenianism’. The famous Irish revolutionary Jeremiah O’Donovan Rossa became politically active in Skibbereen just after the Famine. He went on to become one of the leading members of the Fenian movement. Rossa is commemorated in Skibbereen at O’Donovan Rossa Park, just outside the town. The Maid of Erin statue at the town square was unveiled by Rossa in 1904. Another well-known Irish revolutionary, Gearóid O’Sullivan, took part in the Easter 1916 Rising. He raised the Irish flag over the GPO during that infamous rebellion. O’Sullivan was a good friend of Michael Collins, another renowned West Cork revolutionary. 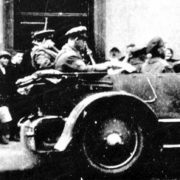 Collins stopped at the Eldon Hotel in Skibbereen on August 22nd 1922. Later that day, he was shot dead at Béal na Bláth. By the early 1800’s Skibbereen was an important regional town. In June 1843, Daniel O’Connell held one of his monster Repeal meetings in Skibbereen. Newspaper accounts of the time claimed up to 500,000 attended. The decades after the Famine saw major improvements in the town. 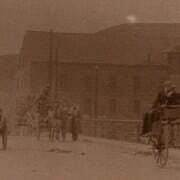 The building that now houses Skibbereen Heritage Centre opened as a Gasworks in 1867 and the arrival of the railway a few years later heralded a new era for Skibbereen. Two newspapers were established in Skibbereen in the 19th century. One of them, the Southern Star, still has its offices in the town. The second newspaper, the now-defunct Skibbereen Eagle, is remembered for ‘keeping its eye on the Czar of Russia’. Science was also to the fore in 19th century Skibbereen. The celebrated astronomer, Agnes Mary Clarke, was born in Skibbereen in 1842. The ‘Clarke Crater’ on the moon is named in her honour. Another Skibbereen native, Percy Ludgate, designed the ‘analytical engine’, which is regarded as the first portable computer. Skibbereen was the Seat of the Catholic Bishop for the Diocese of Ross between 1851 and 1950. The Cathedral in North Street is still the most imposing building in the town. The town evolved to become a hub of industry and was a thriving market town throughout the 20th century, as it still is today. Skibbereen is the most significant town in Ireland in terms of its Famine heritage and it has an important role in commemorating this pivotal period. Every street in the town has its own story and the people of Skibbereen are extremely proud of its unique heritage. Learn about this important period of Irish history at the Skibbereen Famine Story exhibition Skibbereen Heritage Centre. 1. The name “Skibbereen” is thought to have derived from ‘skiff’, a type of boat used for crossing the river. 2. Prior to 1600 most of the land belonged to the native McCarthy tribe who were the overlords but the O’Driscolls also reigned there – today McCarthy remains the town’s most common surname. 3. At the height of the famine in 1848, the body of an unnamed boy, taken for lifeless was placed in a coffin in the Town Square and conveyed for burial to the Abbey Cemetery. As he was lowered into the pit, the youth regained consciousness and walked unaided from the grave. 4. 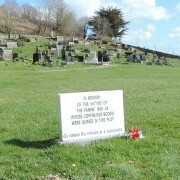 Skibbereen was one of the worst-affected areas in Ireland during the Great Famine and up to 10,000 Famine victims are buried in the Famine Burial Pits of Abbeystrowry Cemetery. 5. The Temperance Hall was the site of the foundation of the first Temperance Society (abstaining from alcohol) in Europe. Built in 1833 it has been succeeded by Skibbereen’s 26 well patronised pubs. 6. General Michael Collins had his last meal in the Eldon Hotel in Skibbereen before he was shot in an ambush later that evening in 1922. 7. The Skibbereen Eagle, a newspaper founded in 1857, became famous by declaring it was “keeping an eye on the Tsar of Russia” over his expansionist designs on China. This newspaper was superseded by the Southern Star, founded in 1889 which included amongst its shareholders one General Michael Collins. 8. Skibbereen and the nearby villages were chosen as location for the making of the film “War of the Buttons”. 9. Skibbereen and the nearby villages are the home to many international celebrities and World Champion Rowers as well as Ireland’s first Rowing Olympians, Gary and Paul O’Donovan. 10. The man who raised the Tricolour over the General Post Office in Dublin on Easter Monday in 1916 was a teacher from a west Cork farm. Gearóid O’Sullivan, from Coolnagurrane, Skibbereen, a second cousin of Michael Collins, was a member of the Irish Volunteers, the Irish Republican Brotherhood, and the Gaelic League. Genealogy service for the greater West Cork area by appointment with our genealogy team. Trace your West Cork ancestry and research your family tree. Our genealogists, Margaret and Deirdre, can help you trace your West Cork ancestry and are happy to help you by appointment or online. Catholic Church records for most local parishes up to 1911. 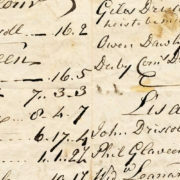 Tithe Applotments, Griffith’s Valuation, local estate records, census & burial records. Local knowledge of place names, family histories etc. Discover Ireland’s first Marine Nature Reserve and unique salt-water lake. 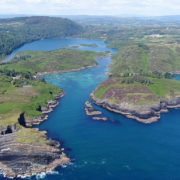 Find out about the history, folklore and formation of this renowned natural phenomenon at Skibbereen Heritage Centre before you visit the lough, (5km from the Centre). Audio-visual on Lough Hyne shown in French, German and English. Film footage of underwater Lough Hyne and its extraordinary marine life. Learn about the long history of marine research at Lough Hyne since it was ‘discovered’ by scientists in 1886. Explore its rich history and folklore – the O’Driscoll castle, its holy wells and the fable of the king with donkey’s ears! Follow with an informed visit to the lake itself, (5km from Skibbereen Heritage Centre), with information on walks and other activities there. 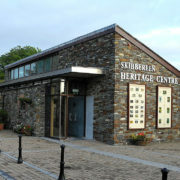 Enjoy a visit to Skibbereen Heritage Centre, located in the award-winning Old Gasworks Building which overlooks the River Ilen. Learn about the Famine of the 1840s when one million Irish people died and at least another 1.5 million emigrated. Skibbereen became infamous as one of the worst affected areas in all of Ireland. The true enormity of this national tragedy is revealed through Skibbereen’s Famine stories. Rediscover this era through exhibits, dramatisations and interactive stations. Listen to the personal accounts of those who experienced the Famine in Skibbereen. Take a ‘virtual tour’ of Famine sites in the town and hear the stories associated with them. Follow with a visit to Abbeystrewry Famine burial pits (one of 3 mass Famine graves in Skibbereen) where up to 10,000 victims are buried. Skibbereen was devastated by the Great Famine of the 1840s. As one of the worst affected areas in all of Ireland, Skibbereen is synonymous with this tragic period in Irish history when over one million people died . Many of the buildings in the town have direct links to the Famine and there are numerous stories associated with each of these sites. Even today, the horror of this terrible time is palpable at these locations, including the infamous Famine Burial Pits at Abbeystrowry which hold the remains of up to 10,000 unidentified victims. The Skibbereen Famine Story exhibition, walking trail app and book offer an insight into this pivotal period of Irish history. Rediscover this era through exhibits and listen to the personal accounts of those who experienced the Famine in Skibbereen. Take a ‘virtual tour’ of Famine sites in the town and hear the stories associated with them at the Skibbereen Famine Story exhibition.